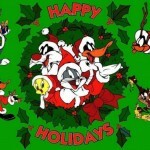 “Tom and Jerry” present this wonderfully delightful holiday special that you will definitely enjoy! 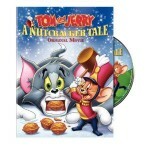 Throughout the special, Tom and Jerry chase and play together to the music of Tchaikovsky’s “The Nutcracker.” Jerry wants to be a performer, and gets his chance in an empty opera house. However, some alley cats, led by Tom, break into the opera house and steal the music box ballerina that Jerry has been dancing with. It’s time to set things to right as Jerry tries to force Tom and the other alley cats out of the opera house!